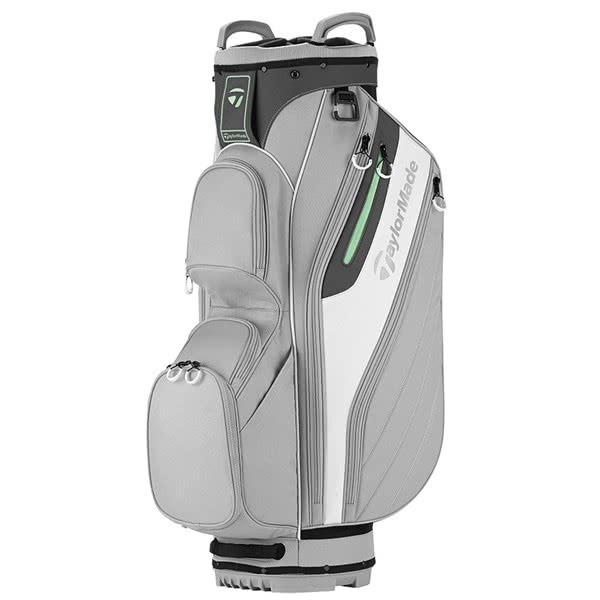 The TaylorMade Ladies Lite Cart Bag has been specifically designed to cater to the needs of the female golfer who prefers to use a trolley or buggy. 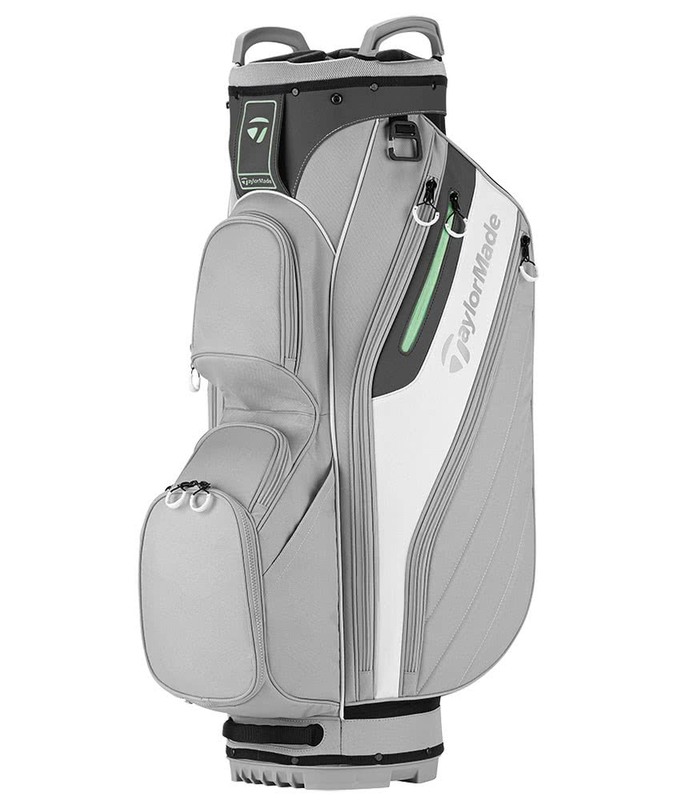 TaylorMade have used a 5 pocket layout for the ladies Lite cart bag and specifically positioned the pockets so they are all forward facing allowing for easy access while you are on the move. Including in the pocket layout are dual apparel pockets, a ball pocket, a tee pocket and a velour lined valuables pocket. To manage and organise your clubs much easier a 14-way, full-length divider top cuff design has been used. 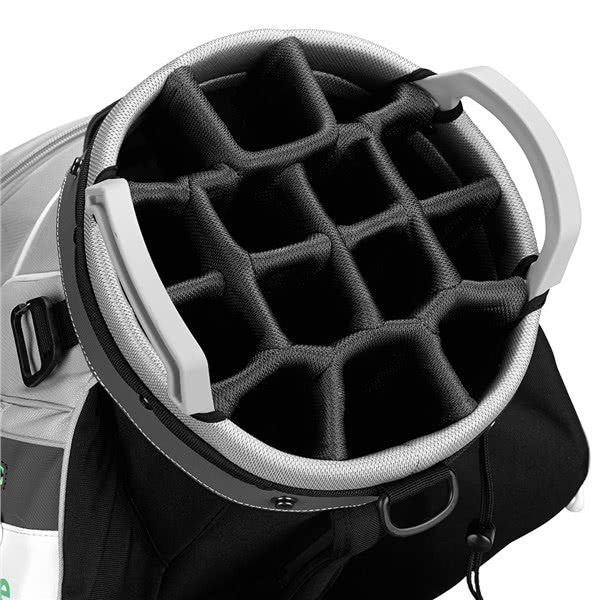 The full-length dividers help separate each club and prevent crowding at the bottom of the bag. A new wear tough fabric mesh has been used on the top cuff design and it will last upto 3 times longer than previous fabrics used on TaylorMade bags. 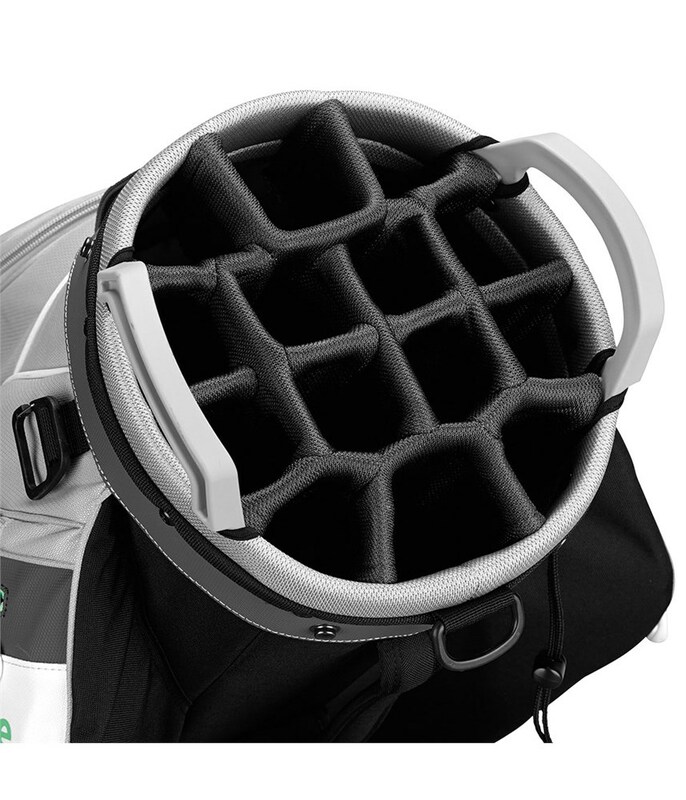 TaylorMade have shaped the top and bottom of the Ladies Lite cart bag to sit securely on almost any trolley and buggy.. Other features on this cart bag include top mounted grab handles, a matching rain hood and an adjustable single strap.